Ceiling fans throughout house. Great floor plan. Two private bedrooms with king-sized beds. Twin beds in third bedroom. Pristine travertine marble in bathrooms. Private outdoor shower. Grassy yard overlooks little stream and green space preserve. Short walk to Hanalei Bay with beautiful two-mile white sand beach. Close to restaurants, outdoor market, shopping, and sightseeing. Perfect for families or couples looking for a vacation in Paradise! 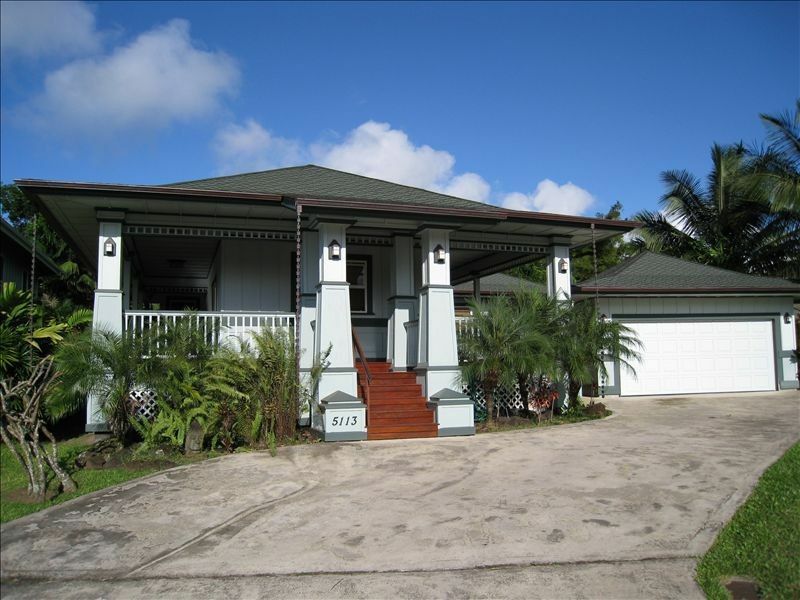 At the center of a new cul-de-sac: 5 minute walk to beautiful Hanalei beach; 2 minute walk to Hanalei shops and restaurants.